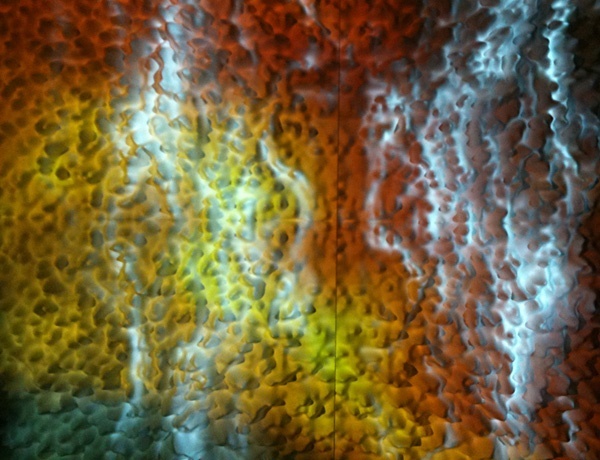 Dark Skies is a multi-channel projection on CNC routed tiles inspired by the concept of biomimicry. The surfaces of the tiles themselves are based loosely on the shape and topography of a wild mouse tastebud. The installation also includes an evocative soundscape, drawn primarily from field recordings captured at twilight in the Rocky Mountains during high summer. "Dark Skies" is an astronomical reference, referring to remote places free of hazy city light that allow for an extended view into deep space and time. This insight offers not only a unique perceptual and psychological experience but the promise of new discovery.